This weekend we're taking part in My 60L Secret sales event. 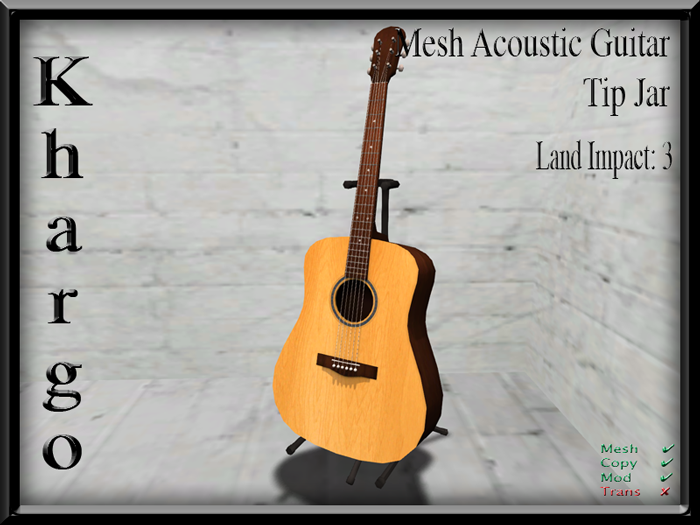 For this event we're launching the Mesh Acoustic Guitar Tip Jar - Personal Version. 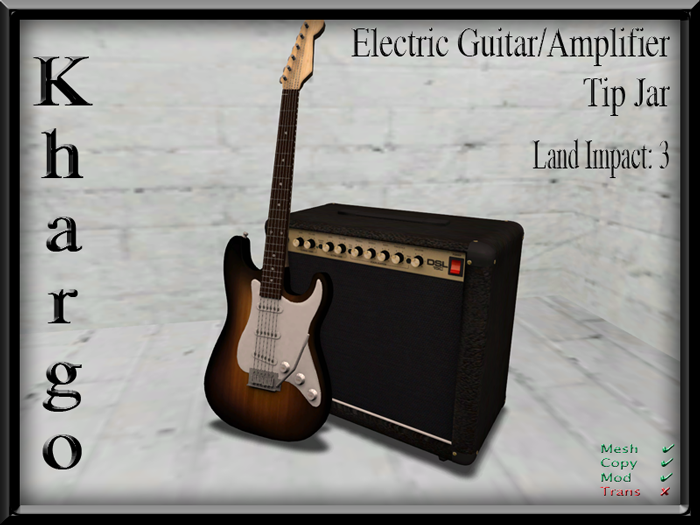 Come and check them out in world at our new tip jar store or on the Marketplace. This tip jar takes the centre stage! 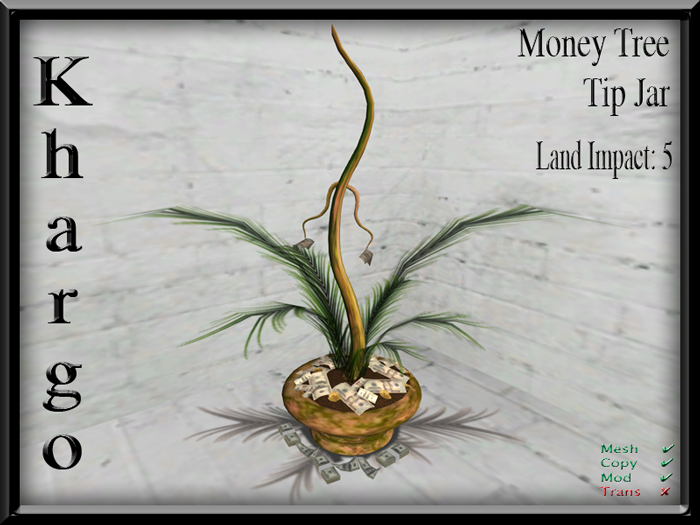 THIS NEW RELEASE TIP JAR (PERSONAL VERSION) WILL BE ON A SPECIAL PRICE OF 60 L$ (NORMALLY 499 L$) FOR MY 60L SECRET IN WORLD AND ON THE MARKETPLACE. LOOK FOR THE SPECIAL VENDOR AT OUR TIP JAR STORE! 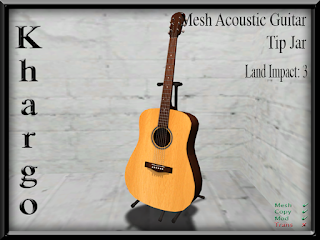 Get in the groove with this new mesh tip jar ensemble! 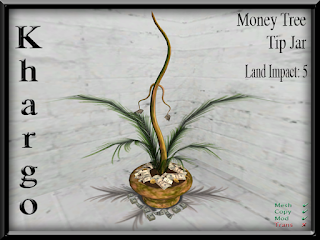 Feed your tree with tips! Khargo Halloween - Brewing Up A Treat!